Photo by Sarah Davis Photography. Interview by Scott Dowd. Entire contents copyright ©Fearless Designs, Inc. All rights reserved. 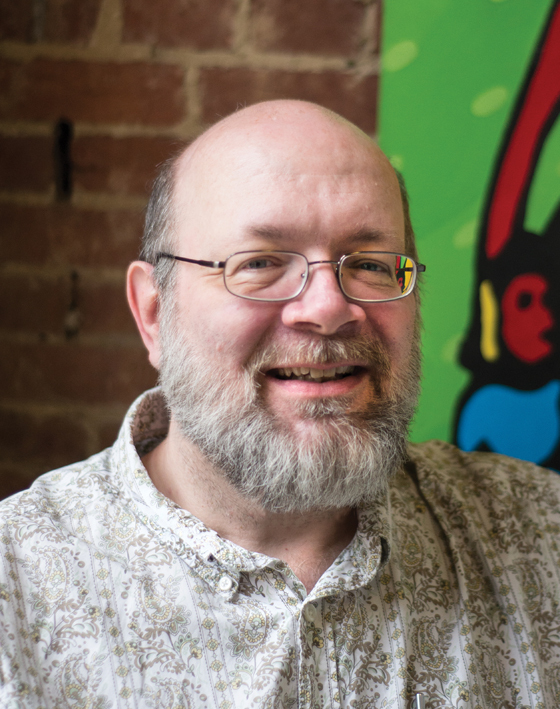 Scott Dowd: Arts-Louisville.com is all about the promotion of this community. Are you a native Louisvillian? Keith Waits: I was born here and lived most of my life here and in Indiana. I was in Bloomington for a few years and came back to Louisville in 2005. SD: What led you to the Louisville Visual Arts Association (LVAA)? KW: I am a visual artist. I went to the Art Academy of Cincinnati and the Louisville School of Art. I was there when it closed and I finished my studies at the University of Louisville. SD: Tell me about your work as an artist. KW: Early on I was a painter, but later I shifted my focus to photography. When I was more active, I was combining the disciplines with Kodalith, which is a transparent film I sandwiched with watercolor painting. SD: When did you begin working for LVAA? KW: I worked there for two years back in the ’80s and came back, as I said, in 2005. Currently, I am the facility manager. SD: What does that job entail? KW: Like a lot of non-profits, everybody has to wear a lot of hats, so it’s a pretty broad description. It covers everything from taking out the garbage and sweeping the floors to installing the shows and serving as gallery director. SD: How did you become involved in providing information about the arts online? KW: I had been watching theatre all my life and many of my friends are actors, directors, writers, etc. I graduated from Walden School and had worked as a volunteer with Nancy Niles Sexton at Walden Theatre. That was when they were in the St. Francis High School building downtown at Third and Broadway. I was putting exhibits in the space and doing some set design work. I had a pickup truck, so I helped them tour some shows. During those five years, I became familiar with a lot of the processes involved with the performing arts and developed an even greater appreciation for theatre. When I came back to Louisville, I would go to shows and send emails to my friends who were involved to give them my reaction to the production. My reactions were detailed enough that they started to become de facto reviews and people started telling me that’s what I ought to be doing. Barrett Cooper pointed me toward Theatre Louisville , an online magazine at that time that had what they called “peer reviews.” Ann Waterman was in charge of the reviews and started publishing me. SD: Publishing a traditional magazine is a difficult proposition these days. KW: It was never easy, but there was more room in the market before the advent of the internet. Magazines and newspapers are, by their very nature, limited in terms of space. They have printing and distribution costs, and there is a distance between the event and publication – whether it be a matter of hours, a week or even months. All of those limitations have been erased by the internet. I can take video from my phone here in the theatre and upload it immediately. SD: You mentioned theatre, but what is the scope of Arts-Louisville.com’s mission? KW: We cover a lot of performing arts: theatre, music, dance. We review the Louisville Orchestra, the Kentucky Opera, the Louisville Ballet, Kentucky Shakespeare, PNC Broadway in Louisville productions and lots of smaller performing groups. We also write about the visual arts; we are doing book reviews and putting out other news and information about what is happening in Louisville’s arts community. The Courier-Journal is, of course, still out there. But Elizabeth Kramer can only be so many places. We are dedicated to going as deep as possible into the community to make people aware of the variety and complexity of arts that are available here. We love to review PNC Broadway in Louisville and Kentucky Opera, but we feel strongly that the smaller groups deserve that same attention. SD: How many people do you have writing for you? KW: It varies, but there is a corps of nine to ten people who are out there consistently. I have sometimes used out-of-town writers for book reviews. KW: With book reviews, I feel it’s very important to match the subject to an appropriate writer. SD: Does the book have to have a Louisville connection? KW: Our focus is always on what is happening in Louisville. There is a little flexibility, but the book needs to have Louisville or Kentucky as a subject or it may be a writer who is from Louisville. We did review the last Sue Grafton book because she is a Louisville native who spends part of her time here. SD: Are all of you working as volunteers? KW: Right now, everyone is doing it for the love of the arts and a desire to promote what is happening here in Louisville. SD: What kind of credentials do you require? KW: No formal academic credentials, certainly. We are looking for proficiency of knowledge in a given area, hopefully a passion for it and an ability to communicate that knowledge through writing. We ask for writing samples, but one of the things we are able to do is to develop younger writers. SD: Tell me about a couple of the people writing now for Arts-Louisville.com. KW: Well, for instance, we have Brian Walker who is a noted local playwright, producer and director. He is doing something called “The 17 Questions,” where he goes out and talks with artists in the community. Kathi Ellis is a noted director who works all over the world – but when she is in town, she loves to tell people about what’s going on here. Kathi is helping us focus on the educational outreach of the arts. That is an increasingly important focus of the arts groups and we want to help them accomplish that part of their mission. Kaylyn Taylor has just started writing about the visual arts for us. I am very in touch with the visual arts community and they are particularly hungry for attention. It’s easier for the performing arts groups to get the media because it plays better on television or radio. There is a lot going on with the visual arts in Louisville that needs to be talked about, and Kaelin is working hard on that. 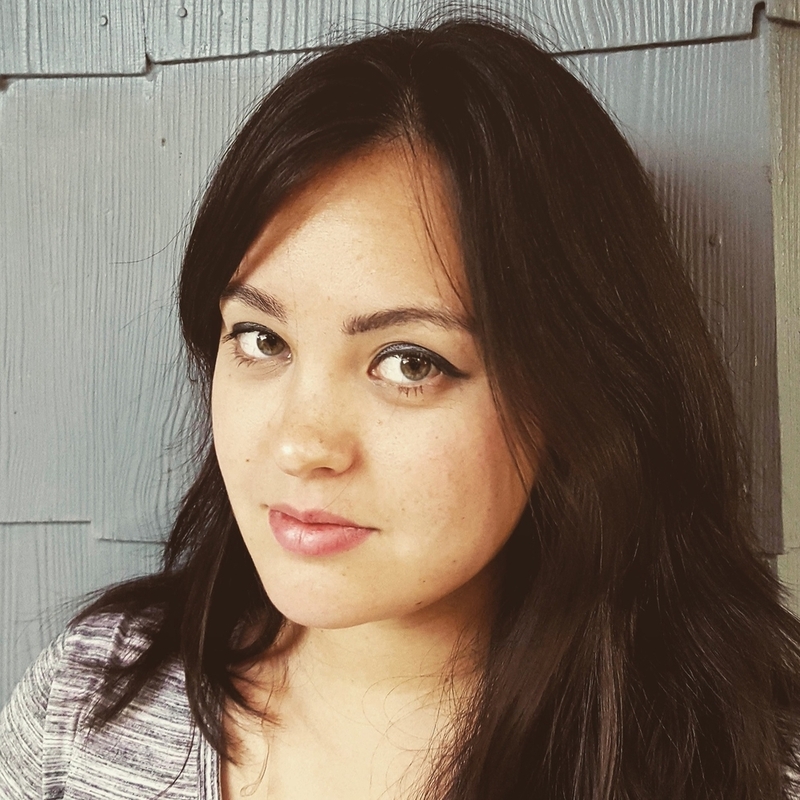 Barrett Cooper has been covering opera for us; and now Annette Skaggs is writing about music – which is great because there are a lot of other groups such as Louisville Chorus and Louisville Philharmonia that we want to highlight. SD: If someone reading this wants to become involved, what should they do? KW: They can start by sending an email to Arts-Louisville@gmail.com. They can send a writing sample in the vein of a review, along with a little background information, and we’ll go from there. SD: Is Arts-Louisville.com a non-profit organization? KW: Not yet. We are in the process of formulating an application to become a 501c3 and have non-profit status. SD: What would you like to see happen with the site when that becomes a reality? KW: My goal is to bring in even more writers to expand our coverage. There are companies at the borders of our geographic range that would love to have attention from us. One of our challenges, particularly with theatre, is that so many companies open on the same weekend. As we are talking, there are seven shows opening in a three-day period. It’s a challenge to get all of that covered. It would also be nice to be able to offer compensation to our writers, which would attract more people and allow us to just do more of what we are doing. SD: So there’s no lack of things to cover? KW: Absolutely not. 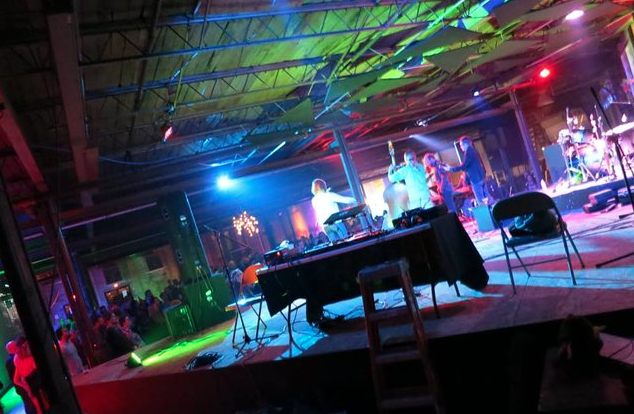 Louisville has a really vibrant arts community and it’s growing all the time. The challenge for everyone is getting their message out and attracting an audience. 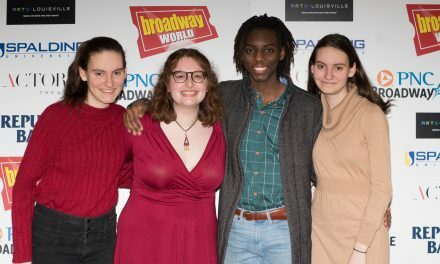 That is why Arts-Louisville.com is so important. Our tag line is “News, Reviews and Interviews” because, in addition to our reviews, we are providing a place for audiences to find out what is going on. We have an extensive Calendar of Events, and I would encourage anyone who is interested in what is happening to use this service to explore the wide array of offerings out there. 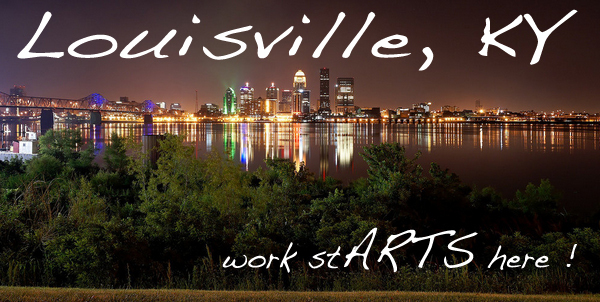 Arts-Louisville.com grew out of our love of the arts and our passion to see it thrive in Louisville. To that end, I want to invite anyone who shares that interest to use the site as a way to become more involved. You will find this and other interviews from Audience at Arts-Louisville.com and TheAudienceGroup.com. Look for more reviews from Scott Dowd when the 2014-2015 arts season opens in August.